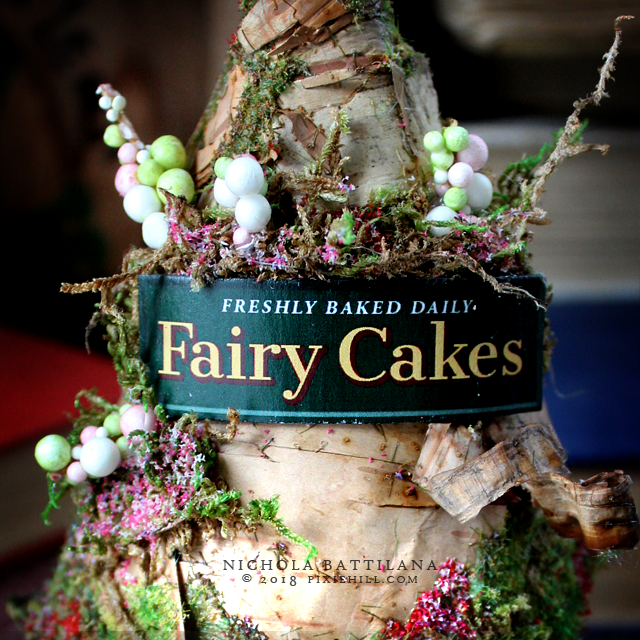 My fairies absolutely prefer the crumbs of home baked cakes and pastries. They have good taste. 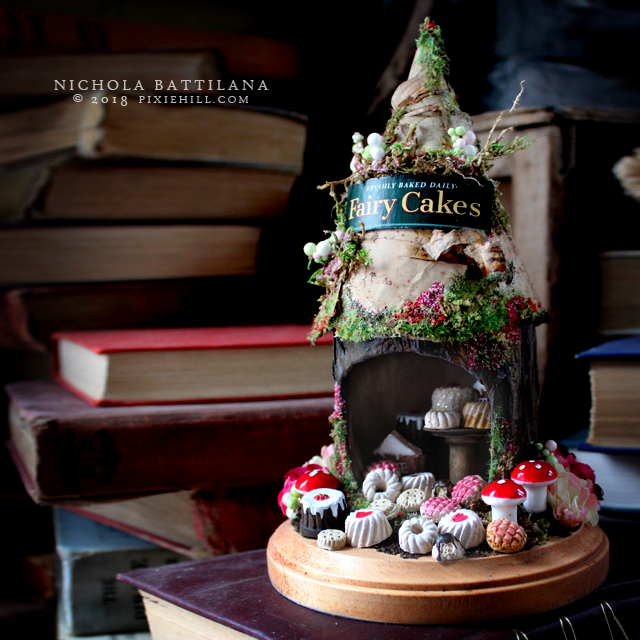 The Fairy Cake Cottage is overflowing with the sort of treats my fairies love. Jammy cakes and cookies. These ones aren't edible, but I'm sure the fairies won't mind as long as I leave them some real crumbs later. 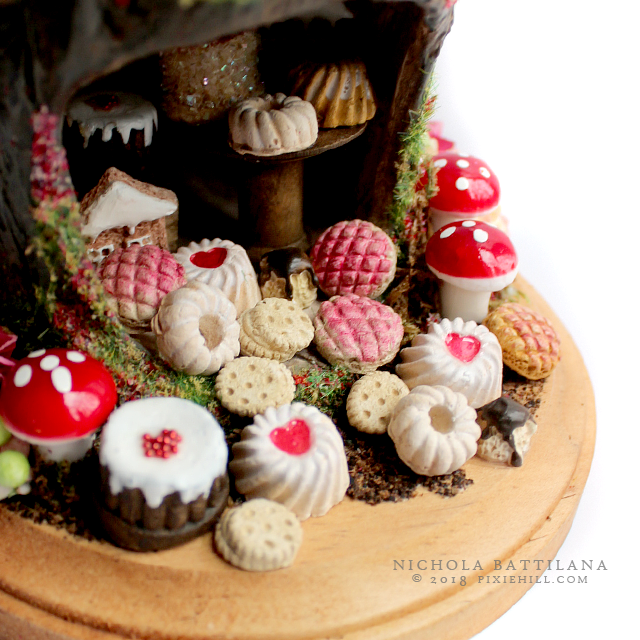 The Fairy Cake Cottage is made from a mishmash of materials. Recycled bits, natural elements and faux toadstools and flowers and handmade wee treats. Overall the nook measures just 8.5" x 5". 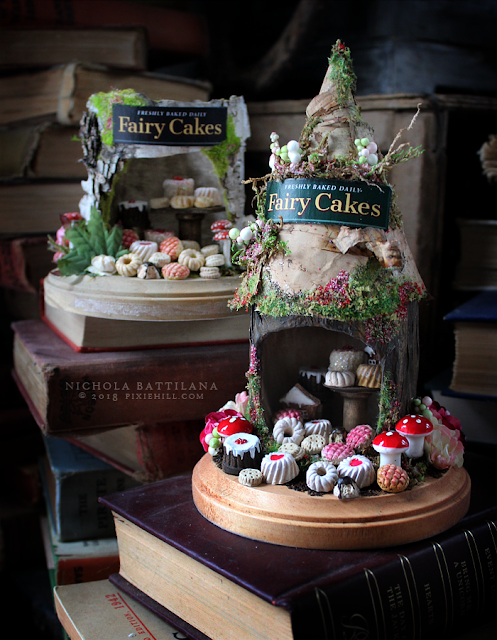 The Fairy Cake Cottage is listed HERE. What sort of treats do your fairies enjoy? Those tiny cakes look good enough to eat! The faeries will dine well.